Sunwrights Spas is the region's best source for luxury hot tubs. Sunwrights has been helping Connecticut families relax in easy to own, energy efficient spas and hot tubs since the 1980’s. As a family owned business, we at Sunwrights are committed to our customers before, during and after the sale. Sunwrights is an Authorized Retailer of Caldera Spas, designed for comfort, performance, and style. 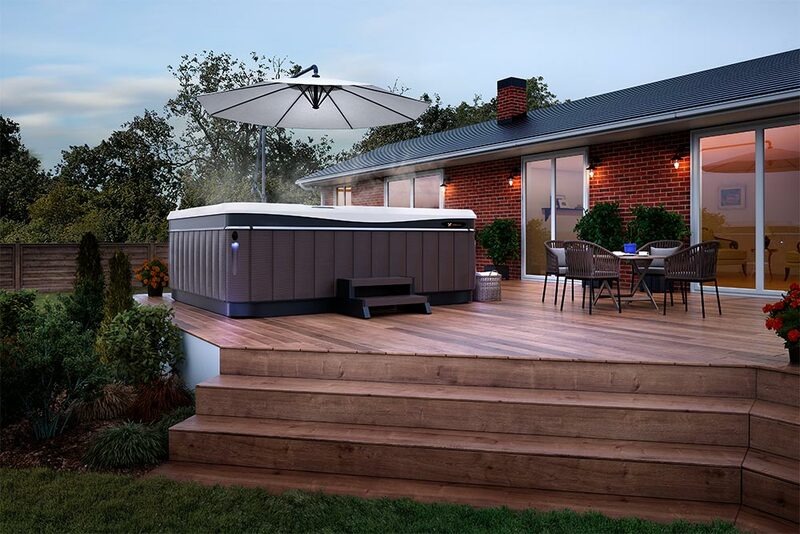 Turn your patio, deck or back yard into your own private resort with a Caldera Spa luxury hot tub! We invite you to tour our 3500 square foot East Hartford CT showroom – bring the family - take a test soak. Sunwrights has been awarded the Watkins Retail Excellence Award for Outstanding Customer Service – enough said. Sunwrights service area includes Connecticut, Eastern New York State, Rhode Island and Massachusetts. Come visit us at Sunwrights Spas on Pitkin Street, East Hartford and look forward to better health. Call today 860-282-7727.